The competition is an 18-hole medal for players from clubs within a 25-mile radius of Manchester Town Hall with a handicap limit of 14. 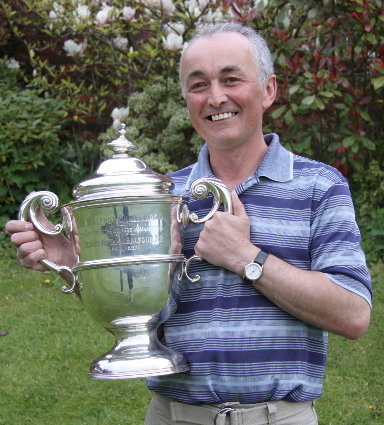 Les has entered the Balfour Cup Competition over the last five years hoping to win the coveted trophy but after shooting a 69 had to endure the long wait in the clubhouse hoping that his score would be good enough to win on the day. 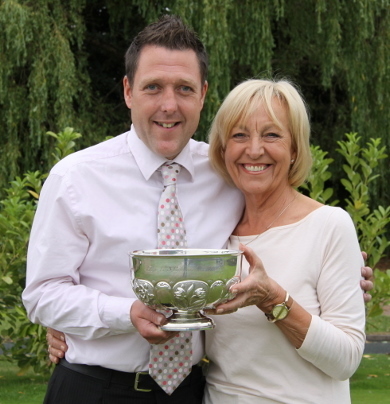 Houldsworth Golf Club have marked their centenary year with a clean sweep in the B&H Houldsworth Cup. Winners Wayne Doyle and Jake McGurk were delighted to have captured the trophy for the club after finishing 4 up a score which looked to be slipping away as they fell back from a score of 7 up after 13 and on course for a record score. The two managed to get the wheels back on and were worthy winners ahead of David Walton and Steve Foster who finished all square. Honourable mentions going to D. Finlay & N. Dunn from Denton and Jimmy O'Reilly and Mark Rigby from Swinton Park with scores of 1 down. Rochdale Golf Club hosted its first G.S. Lancashire Trophy which resulted in a three way tie for the trophy requiring the dreaded card play off to determine the winner which went in favour of the Worsley pairing of Mark Coulson and Heather Schofield after their 36 Point return. Second place going to John Clarke and Kim Lawton from Worsley and the host club pairing of Alan Murray and Pam Ellis taking third place. A remarkable two's competition produced only one winner but not at a Par Three after Worsleys Angela Dolan drove off the 10th hole playing partner Steve McLoughlin holed out with the second shot on the Par 4 claiming the full compliment of balls in the process. 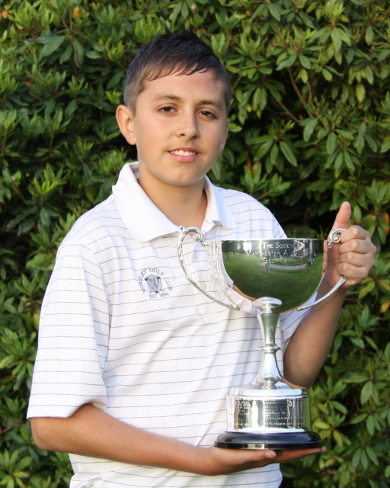 Swinton Park's James Hirst captured the Junior Balfour Cup at Worsley Golf Club after carding a nett 63 two shots clear of Blackleys Adam Bowler and Alex Hughes who both came home with a nett 65 score with second place going in favour of Adam on a cpo. 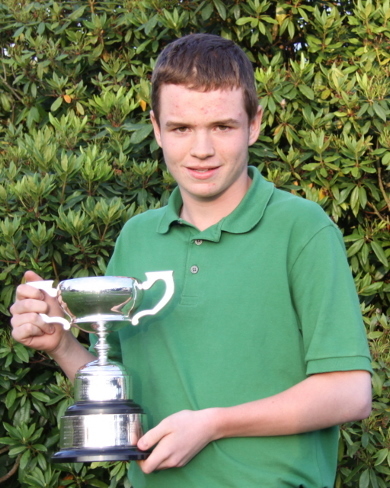 James who started playing two years ago will start college in September and will be studying Maths and Politics something Lord Balfour and Sir William Houldsworth would no doubt have approved of when they set up the golf competitions over 100 years ago. 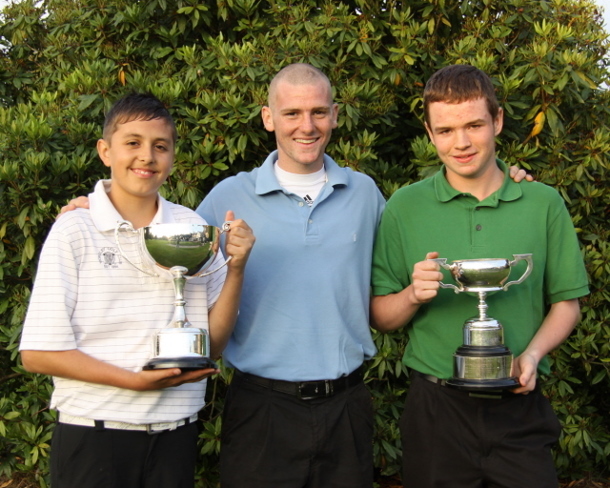 Host club Worsley had plenty to be proud of with Marcus Caldwell winning the U15's Trophy with a nett 65. The best gross score was recorded by Pike Folds 5 handicapper Andrew Russell who shot 72 round a superbly presented Worsley Golf Club. The Chorlton duo of Ron Williams and David Boynton produced an outstanding performance to take the Senior Balfour title on a superb Blackley golf course carding a 46 Points total and two shots clear of home players David Haide and Geo Skelly. Third place going to the Sale pairing of Richard Browne and Ian Vernon who came home with a 43 Points total. The field of 44 Pairs enjoyed a total of ten two's each receiving 6 balls each for their efforts.